The Swayam initiative is a new step taken by the Human Resource development ministry of India. This scheme shall provide free online courses and teach young and aspiring minds across the country. It is basically a web portal where some courses shall be taught. These are known as Massive Open Online Courses (MOOCs). There are several topics included under these MOOCs. 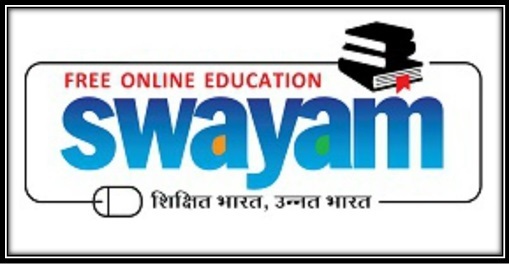 In fact there are about 500 online courses that shall be taught with Swayam. The program will be launched very soon by the Human Resource Development ministry of India. Basically you can register yourself with this portal if you are dissatisfied with the classroom teaching of any subject at your college or university. Through this portal you can apply for the same course in another subject. Also if you have any doubts about your courses, you can get it cleared immediately through the portal. This means that it will be a side by side aid for your education and will help you at a very basic level. The eligibility criteria for Swayam simply state that you have to be a resident of India to register for this scheme. Also, the scheme shall teach all courses which are taught in classrooms till 9th standard. Till post graduation, whatever courses are available in colleges and schools, all shall be available on this portal. So anyone who is in 9th or above class can join Swayam. There are two parts in which the courses shall be provided. First, if you are studying engineering then the courses shall be taught by NPTEL. NPTEL is a government undertaking which teaches you courses focused on various streams of engineering. If you are studying under University Grants Commission or UGC or under CEC undergraduate courses then there is a different body that shall teach you. The same goes for NCERT or NIOS School Education. Many courses are there which are available from IGNOU as well. The official website of Swayam is – https://swayam.gov.in/ You can see on the left hand side top corner of the screen there is “MHRD Government of India Ministry of Human Resource Development written.” On top of that there is an AICTE logo below it. If these two things are present and if you have clicked on the above link, you shall be redirected to the correct Swayam Page. Go to https://swayam.gov.in/ and then click on “Register” situated at the top of the page. A new page will open where you have to enter your username and password. On this page scroll down below. You will see an option “Don’t have an account? Sign up now.” Click on the blue sign up now button. Alternatively you can skip this step and sign in using Facebook, Google or Microsoft account. If you have an active Facebook account as most do, simply click on the Facebook button and then a new page will open. It will ask you to “Continue as (your name)” You have to click continue. Now this will redirect you to a new page where the fields shall already be filled. Simply check the details and if they are right, click on “continue” at the bottom. This concludes the registration process for you. Now you will have to remember the username and the password to login to the portal next time. To start studying, simply search the course that you want to take part in. There are some courses on this site which are organized for simply 1 or 2 months or even a few weeks. To stay updated on the matter you can enroll here and then keep checking out the webpage for more information. The implementation of this scheme is a huge step. The HRD ministry is trying its best so that any issues in the implementation stage are addressed fast and methodically. That being said, students can start studying as soon as they enroll in this portal. They shall have study materials at their disposal in the form of texts, videos and other projects. To make sure that the study material and the classes are properly conducted, the professors from Delhi and other prestigious universities shall conduct the classes. This way the programme shall achieve its intended purpose. You will also have to complete several assignments given by the professors. After you have successfully completed these courses, you can apply for a certificate for the same. CEC/UGC: Humanities 1 – Language and Literature. CEC/UGC: HumaHumanities 2 – Philosophy, History, Arts and Other Related Subjects. It is available on Android phones only for now. Mumbai university have now posted many content in swayam portal. Council of IITs Meeting was recently concluded in New Delhi. The meeting was organized under the central’s Human Resource Development Department. The meeting was supervised by Prakash Javadekar and he announced that soon IIT-PAL will be introduced for the assistance of candidates who desire to sit for JEE examinations. This program helps JEE aspirants to prepare better for the final examination. The assistance will be available on SWAYAM portal. In addition to this, some other decisions, related to the development of IITs and engineering institutes have been taken in this meeting as well.